Description: This instrument is similar to the jal tarang, water is filled in the hollow bamboo containers along the rim and a single wire is passed through each of these containers. 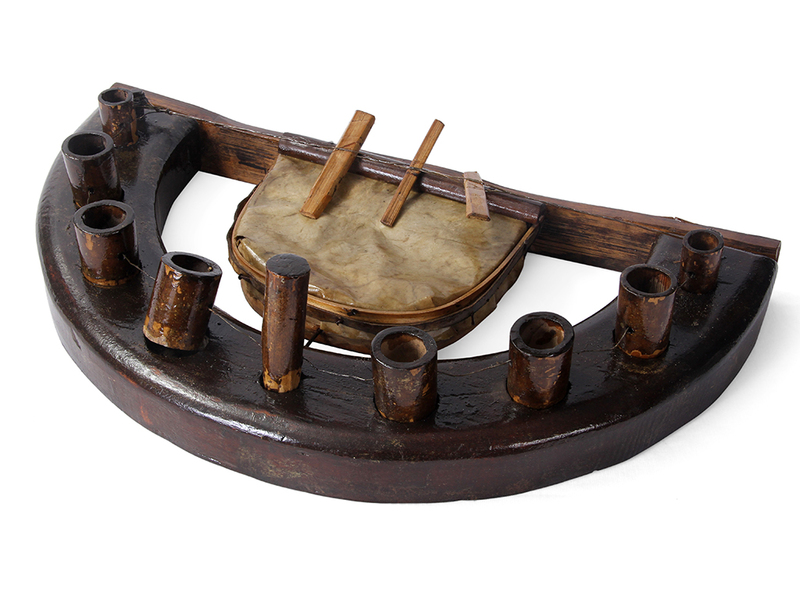 The leather pad in the front of the instrument is hit to produce notes in these pipes. This is a unique and experimental musical instrument developed by Debbarman.